I'm planning to post my Luzern retrospectives next week, after tomorrow night's Wheaton College lecture is complete. (Open to the public -- come on by!) In the meantime, Jim Ware has penned an excellent piece for Film Score Monthly. The full article is available to subscribers, but I've posted a bit below in order to whet appetites. If you're a fan of film music, and not already subscribed to FSM, I highly recommend you take the leap! Jim Ware gives us a front-row seat to the recent Howard Shore Festival in Switzerland. Lucerne, Switzerland, is an inspiring location. Richard Wagner lived here for a time and penned his symphonic poem Siegfried Idyll here. The beautiful mountain scenery is appropriately analogous to the spectacular New Zealand locations used in Peter Jackson’s Lord of the Rings trilogy. Enduringly popular, the music of The Lord of the Rings has been performed in concert all over the world, most regularly as the Symphony, a six-movement piece mostly based on the contents of the original single-disc soundtrack albums. 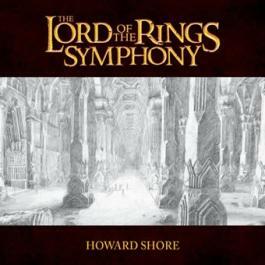 While it works reasonably well as a two-hour whistle-stop tour of the music of Middle-Earth, Shore wrote over 11 hours of music for the trilogy; the only way to really experience the breadth and majesty of the scores is to listen to the complete work. The first “live to projection” performance of The Fellowship of the Ring took place here in February 2008, and was something of an experiment. “We had 24 hours [to decide whether or not to host Fellowship],” recalls Pirmin Zangerle of Art Productions. It was an expensive technical and musical challenge with no guarantee of success or of completing the trilogy. Film scores had been performed live to picture before—Philip Glass’ Dracula and John Williams’ E.T. being notable examples—but nothing of this scale had ever been attempted. “This music means so much to so many people. We knew that we had to do it justice,” Zangerle continued. The gamble paid off, and after four sold-out performances in Lucerne, Fellowship started to tour the globe. Similarly, popular performances of The Two Towers followed in 2009, with The Return of the King completing the trilogy of “live” performances a year later. The live-to-projection performances consist of the film being projected in high-definition above the orchestra, choir and soloists. The sound mix includes only dialogue and sound effects—the music is all performed live. Instead of being a fixed entity, the film becomes a unique, organic experience. The music takes center stage, never subservient to dialogue or effects as it would normally be. The addition of an intermission and entr’acte to each picture gives them an additional air of the operatic. Turning these elaborate productions into a touring entity that could be performed all over the world was an ambitious proposition. Conductor Ludwig Wicki has conducted almost all live-to-projection performances thus far, and his schedule shows no signs of relenting. He is due to conduct another cycle of the trilogy in Munich before flying to Sydney for two performances of Fellowship. The next day off for him is rumored to be sometime in July, but that may change if other opportunities to conduct arise. His attention to detail and technical skill are second to none, and his enthusiasm for all things musical is infectious. Many of the ethnic and percussion instruments used in the concert performances come from his own collection. 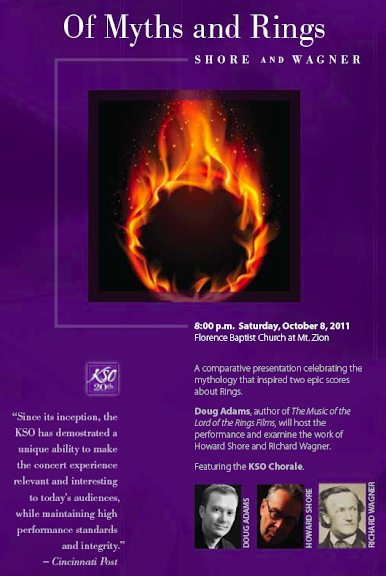 The 21st Century Symphony Orchestra and Chorus, formed by Wicki a little over 10 years ago, specializes in film music. They have enjoyed a lengthy working relationship with Howard Shore, performing numerous concerts and most recently recording the Lord of the Rings Symphony for album release later this year. The orchestra and Wicki have traveled to New York performing Fellowship and Two Towers at Radio City Music Hall, and are due to complete the trilogy there in the near future. A single Lord of the Rings—Live to Projection performance is a tremendous feat of endurance for orchestra, choir and conductor alike, but the next logical step was to perform all three together. This trilogy performance became the centerpiece of a week-long Howard Shore festival in Lucerne, the spiritual home of these productions and the home of Maestro Wicki and the 21st Century Symphony Orchestra. With three performances of each film and three other concerts, the musicians certainly had an intense festival planned. In total the festival encompassed over 12 hours of orchestral, choral and chamber music performed over the course of a week, a phenomenal amount to rehearse and perform. This kind of celebration is rare enough in the classical world, but totally unique within the world of film music. Film music festivals have taken place in Ubeda and Madrid, but this is the first of its kind dedicated to the work of a single composer. The nine Rings concerts were undoubtedly the main attraction for the majority of festival-goers. Wicki’s intimate familiarity with the music becomes more and more apparent with each new performance. Rather than rigidly following the on-screen punches and streamers of the auricle (a device that provides visual cues to the conductor to aid synchronization), he has started to conduct a little more freely when possible, allowing the music to ebb and flow. “Ludwig is a force of nature,” says Shore authority Doug Adams. His boundless energy is most apparent on the day of the first performance of The Return of the King. This was one of the most demanding days for the musicians, with a full dress rehearsal and performance almost back to back—seven hours of performance in total. “Return of the King is difficult, especially twice in one day,” admits Wicki. Although the brass and some of the other instruments can hold back a little in the dress rehearsals, the conductor doesn’t have that option. All three films are scored wall-to-wall with lengthy cues and very little in the way of breathing space between them.